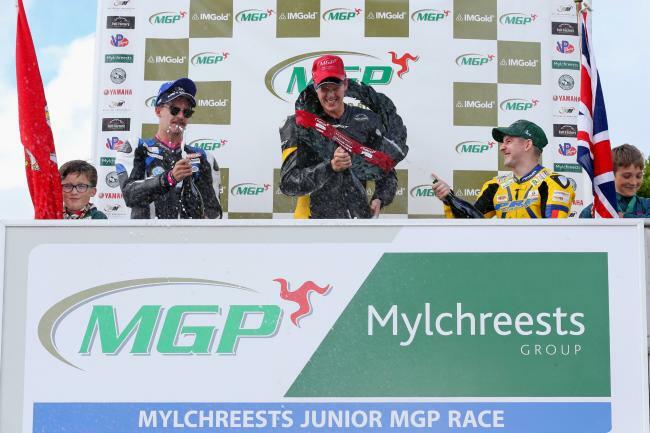 The Isle of Man’s Billy Redmayne and Horwich rider Malachi Mitchell-Thomas continued their Isle of Man Mountain Course rivalry from last year’s Manx Grand Prix Newcomers race in today’s Mylchreest Motors Junior Race at the IMGold Manx Grand Prix. Redmayne again triumphed, as he did last year, but only by a winning margin of 1.8 seconds after a close battle with Silicone Engineering Racing’s Mitchell-Thomas. His win came despite his accident in Monday’s practice, which saw him taken by airmed to Nobles Hospital. After a frustrating delay due to rain and mist on the Isle of Man, the Mylchreest Motors Junior Manx Grand Prix finally got underway at 1pm. The delay saw Clerk of the Course Phil Taubman reduce the race to three laps. Competitors were warned of damp patches on the course, notably just before St Ninians with roads described as wet between Ramsey Hairpin and the Gooseneck. Wigan’s Rob Hodson on the PR Racing Suzuki fired away first down Glencrutchery road. Malachi Mitchell Thomas, the fastest qualifier, who posted an unofficial lap record in last night’s practice, was first to Glen Helen. However, he only had a lead of 0.1 seconds from Billy Redmayne on the Martin Bullock Manxsport Honda with Rob Hodson back in third. 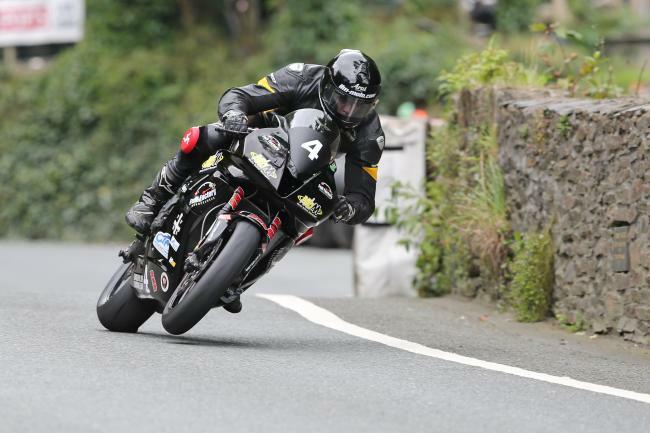 New Zealander Michael Moulai, who finished runner-up in last year’s Senior Manx Grand Prix, was an early retirement when he slid off at Braddan. He was taken to Nobles Hospital for a precautionary check up. Ian Armstrong was another to go out on lap one when he came off at Glen Tramman. The Yorkshire rider was taken by airmed to Nobles Hospital for treatment on possible fractures. Back at the front, and Redmayne moved into the lead by the second timing point, Ballaugh Bridge, but by less than a second from Mitchell-Thomas with Hodson consolidating third place a further 2 seconds back. The leading three riders were all into the pits at the end of the first lap with Redmayne’s opening lap of 118.255/ 19:08.607 giving him a narrow lead over Hodson (117.439/ 19:16.505) with Mitchell Thomas in third having lost time over the Mountain section after Ramsey Hairpin. Hodson and Mitchell-Thomas gained a slight advantage over Redmayne with pit stops timed at 36.180 and 37.284 to Redmayne’s 41.081 and it was Mitchell Thomas who again moved into the front at Glen Helen on the second lap from Richard Wilson who had run straight through at the Grandstand with Redmayne ahead of Hodson but only three seconds separated the top four. However, Mitchell-Thomas lost over sixteen seconds on the second lap after stopping temporarily at the Creg Ny Baa, with his bike overheating, which ultimately cost him the race. With Wilson pitting at the end of the second lap, and Mitchell-Thomas’s issues, Redmayne’s second lap 115.367/ 19:37.354 put him back in front with a commanding 12 second lead over Hodson 115.052/ 19:40.576 with Mitchell-Thomas back in third almost fifteen seconds behind the race leader. Mitchell-Thomas’s last lap charge saw him pass Hodson and close the gap to only 1.8 seconds from Redmayne at the chequered flag as he ate into Redmayne’s lead but ultimately the Manx rider held on for the victory. Mitchell-Thomas had the consolation of breaking Tommy Clucas’s 2004 Junior lap record and he also became only the seventh 120mph member of ‘The Tommy Club’, set up in memory of the Manx rider, joining Tommy himself and Alan Jackson, Ian Pattinson, Davy Morgan, Seamus Greene and the last person to record a 120mph lap in an MGP race, Simon Fulton. Darren Cooper received the Alan Hampton Trophy as the highest placed newcomer, finishing in 23rd with a time of 110.716/ 1:01:20.448. Craig Neve was reported as OK following an accident at Sarah’s Cottage after an airmed transfer to Nobles, while Jason Brewster was also taken by airmed and reported to have sustained fractures following his accident at the Gooseneck. 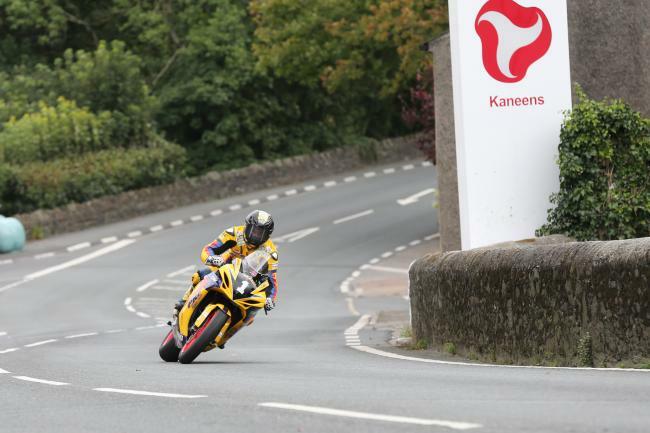 The day concluded with a practice session for Lightweight and SuperTwin machines rather than the scheduled race, which will now take place on Friday along with the Full Factory Winners Wear Senior Manx Grand Prix Race, the final race of the meeting. Andrew Dudgeon’s 110.833 was the third fastest qualifying time of the week in the SuperTwin class while Mark Purslow topped the Lightweight board with 105.795, the fastest qualifying time of the week. A number of riders also went out on their Senior machines with Rob Hodson, fresh from his Junior MGP podium, topping the board with 115.696 ahead of Friday’s Race. Donald Gilbert was reported as coming off his machine at the Creg Ny Baa but was checked by medics and reported not to have sustained injuries.